Voi Net - High-speed symmetrical, unrestricted Business Internet for metropolitan Winnipeg. High-speed symmetrical, unrestricted business internet for metropolitan Winnipeg. What can Voi Net do for your Business? and Private Network Builds (including structured cabling, fibre and microwave wireless). Voi Net is 100% Canadian owned. Connected to many Canadian markets including Winnipeg, Montreal, and Toronto. Voi Net was founded in January of 2006 due to a lack of competitive and reliable internet providers in the Winnipeg market. The company has grown to support more than 300 commercial clients in the Winnipeg and Manitoba region. Voi Net maintains a Cisco based next-generation, dual-stacked IPv4 / IPv6 network. This allows fast turn up of new customers, lightning fast performance, future proof connections, and best of class uptime. All backed with our industry leading SLA. We believe in the privacy of our clients, and are able to offer end-to-end AES-256bit encryption on all of our services. The Voi Net Network consists of distributed geographic nodes, with next generation wireless providing last mile support where fibre is not present. Wireless backhaul services available with capacity up to, and over 1 Gbps (on a single antenna). 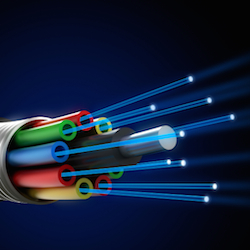 We can offer 10/100/1000 Mbps speed connections, delivered over wireless, fibre or leased line. This allows Voi Net to offer leading Internet, data, and private network services. Please contact us and we will be happy to provide a solution that fits your business needs and requirements. Does your Business need Reliable Internet? removing complexities from your network, letting you focus on your business. Our Commercial Solutions are scalable from 10 through 1000 Megabits. Our Commercial Solutions are Business Grade and offer Dedicated Bandwidth. Our Network has 99.99%+ Availability, and the Monitoring to Prove it. Turbo Charge your Business's Internet Access to eliminate wait times and downtime. Available in scalable increments from 10 to 1000 Megabits. Increase Business Productivity by connecting two or more endpoints over Our Network. Directly connect Business Critical locations, or Branch offices with Dedicated, High Capacity Wireless or Fibre Circuits. giving your services the ability to grow with your business. Voi Net Inc is a leading facilities-based broadband solutions provider offering a complete suite of wholesale data services over our private Metro Ethernet Network. We support wireless carriers, wireless internet service providers, and government agencies in delivering a superior broadband experience to the end customer. Take advantage of our private network and our industry leading SLA to satisfy your customers. Rely on Voi Net Inc to bridge the gap wherever and whenever you need it. Connect two or more locations over our private Metro Ethernet Network. Our wholesale solutions allow you to minimize capital outlays and reduce operating expenses so you can maximize your profitability. All backed by our industry leading SLA for peace of mind. Need a quote? Want to hear more about Voi Net? We would be happy to speak with you, and design a solution that meets your growing business requirements.